When we say all vehicle types, we really mean it. Nissan and Suzuki owners have received full service and repairs to industry leading standards wherever the work needed to be done, when they needed us to be there. Happy clients in Canberra who have already experienced the ease and convenience of on site vehicle repair and service work have given us over 36 positive reviews. These are just some of the reasons why we have maintained our excellent service history and kept our customers. Receive a high quality service on your vehicle at the time and place that suits you with on of the 9 Lubemobile mechanics in Canberra. Aaron in the ACT was our mechanic. It was a tough job and took a few days due to suppliers giving him the wrong parts. Despite this he was incredibly helpful and went above and beyond to get our car working as quickly as possibl ble. A friendly and professional guy. 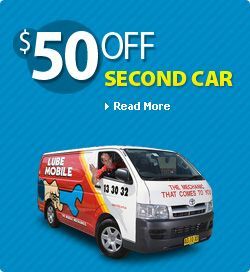 Lubemobile mechanics are available wherever you are like in Amaroo. We attend to your vehicle wherever it is which includes anywhere from Campbell, Evatt and Kambah, and anywhere in between. We are Australia’s #1 mobile mechanic fleet attending to you when you need us. You can get your car serviced on holiday. Have the tyres replaced or rotated at work. 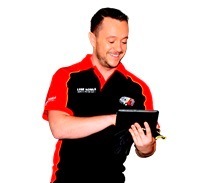 Our mechanics have serviced over 1,294 vehicles in your area over the past 3 months alone. Have a Log book servicing completed entirely on site at your home address. Or our mechanic specialists can travel fully equipped to wherever you specify to carry out work including air flow meter testing and fuel pump replacement. The very definition of a mobile mechanic is a vehicle specialist who can do what you need, where you need it done. Our mechanics complete full car services at your preferred location with recent jobs completed on Toyota, Holden and Ford. Our professional mechanics are experienced and equipped for all vehicle types serviced on location. Have it all taken care of at the best place for you, not your mechanic. Holden, Great Wall and Kia are all attended to on the spot. engine management system, macpherson struts and cam angle sensor were with the mechanic when they needed them and quickly replaced or repaired on location.